Thanksgiving weekend in South Florida this year will mean more than turkey and stuffing, with the start of Miami’s first Melges24 World Championship. More than 100 sailboats and 500-plus crew members from up to 20 countries are expected to participate Saturday, Nov. 26 through Saturday, Dec. 3. South Florida is a traditional mecca for sailing. “Some people leave their boats in Miami and come down to race them,” says Draftz, of Charleston, S.C., adding that he wants to buy a boat and keep it in Miami. 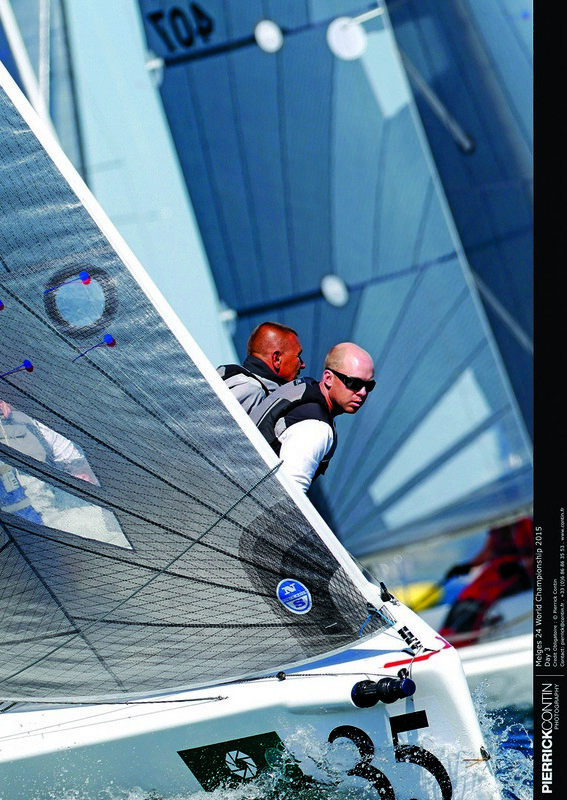 The yearly Melges24 World Championships started in England in 1998. South Beach is also a big draw. “Sailors like to party after working hard all day,” he says. Browne expects an economic windfall for Miami. “With the 500-plus sailors, their families, crew members and coaches, there’ll be a couple of thousand people,” he says. The best place for spectators to see the regatta is on a private boat or yacht – on the water, Browne says. The course – just south of Government Cut – is the same for the entire run of the race, using Island Gardens Marina on Watson Island as its base of operations. Draftz says organizers chose Island Gardens because of its dock capacity and its proximity to the Miami Yacht Club. Christopher Rast, a dual Swiss-American citizen, won last year’s championship in Denmark. He’ll be in Miami, saying local waters can deliver excellent racing conditions if a nice easterly or northeasterly breeze comes in – and the Melges 24 is a good vessel for it. “It’s a great-size boat, easy to manage, to sail with your friends and family, to trailer around,” he says. Browne says the competitors, many of them amateurs, are some of the world’s best. “It’s kind of a Who’s Who of the best yachtsmen in the world,” he says. Jacksonville native and resident Steve Suddath will be competing, too. He started sailing when he was 15 and was part of the Florida State University sailing team. “I’m 62 and have decided to do the Worlds in spite of not sailing much over the course of many years,” he says.